We found inspiration after talking late into the night about Harry Potter, where we were talking about how cool it would be to live in that world. We especially found that the wizarding chess game shown in the series brought a more interactive and engaging aspect to the game of chess. 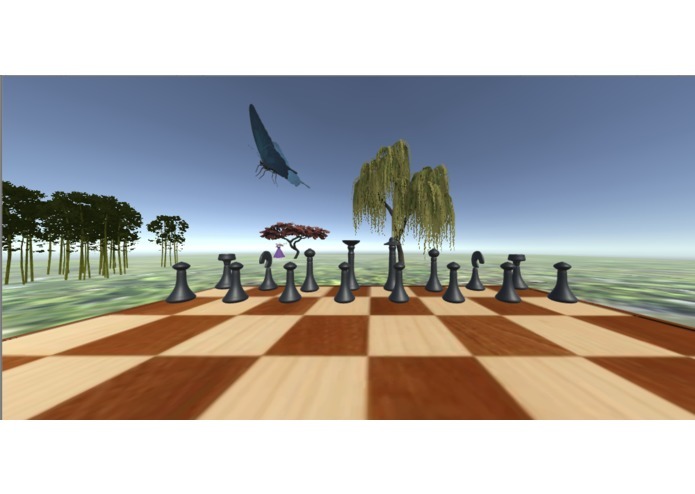 Our project is a virtual reality chess game, that also integrates voice control commands for chess movements. 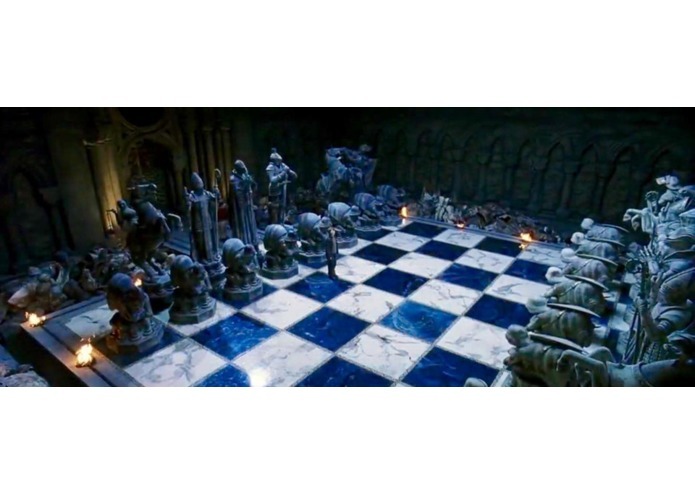 This emulates the magical chess board used in Harry Potter, and lets you get a taste of what it would be like to be a wizard! 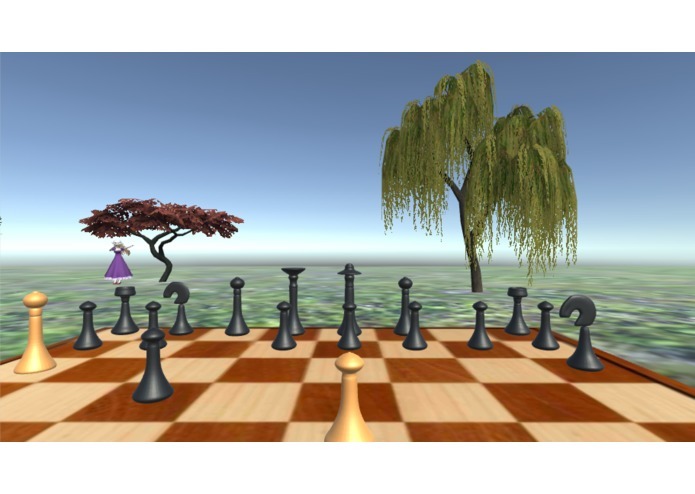 We used Unity game engine to create the virtual reality chess game, and IBM Watson's text-to-speech API to simulate vocally commanded game mechanics presented in the movie. Fast-paced Project As first time hackers, we were not accustomed to the rapid fire schedule of the hackathon. Time management was an issue that we faced, and that we will address for the future. Optimal APIs With a variety of different APIs available online, we spent a long time researching and deciding on the optimal API for our purposes. Thankfully in the end, we were able to decide on IBM Watson's text-to-speech API that worked perfectly for us. Virtual Chess Engine We wanted to make the most efficient and effective chess algorithms for our game, and optimizing it challenged us to take a more fundamental approach to solving this issue, forcing us to use techniques learned in Computer Science and Mathematics. For our first time working with Unity and virtual reality applications, we are very proud of our accomplishments. Our team worked well together, and helped one another complete our tasks, allowing us to finish our project. 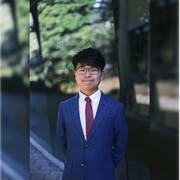 We learned that time management is definitely an important skill that we need to refine, and that virtual reality has a very broad and encompassing capacity to do good for our world, and make the impossible possible. We would like to add in more animation to each individual chess piece, as well as including more quality of life updates to include certain easter eggs and fun tidbits. Increasing the capabilities of the voice-to-text API would be another goal that we would like to work into. Finally, adding in more versions of the game with alternate rules to maintain the engaging nature of the game. I create things, and I'm getting better at it.